Government forces in Nicaragua have begun a series of raids intended to target anti-government protesters who have barricaded themselves in towns in southeast Nicaragua. 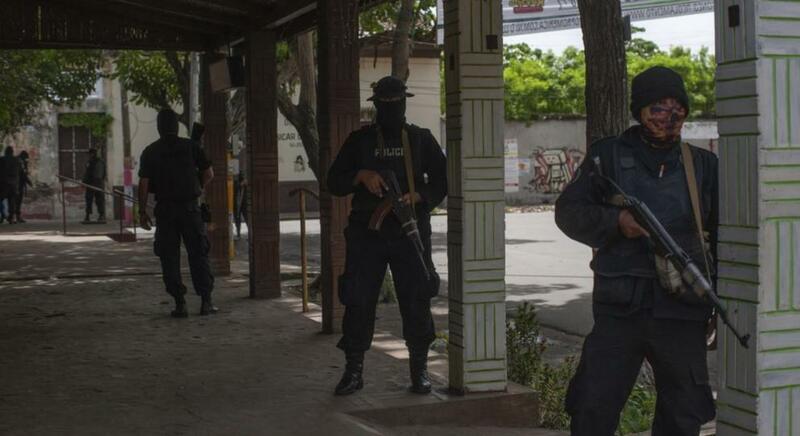 According to human rights organizations, at least six civilians have been killed along four members of the Nicaraguan government security forces. The government raids targeted the city of Masaya and several small towns in the region. The head of Nicaraguan Association For Human Rights (ANPDH) Alvaro Leiva said 22 government vehicles carried security forces to the area. The operation has been labeled "Operation Clean-up" by the government. Among the villages targeted are the nearby Niquinohomo and Catarina villages and the neighborhood of Monimbo. Leiva told the people of the city of Masaya to stay indoors because "there are sharpshooters stationed at different places around the city". Leiva said police had not been allowing the wounded to reach hospitals in the area and the residents of the city told French news, "We are being attacked by the national police and paramilitaries armed with AK-47s." The government operation came after dozens of students in the capital Managua were assaulted by pro-government forces. The siege on the students lasted for hours in a parish church near the National Autonomous University of Managua (UNAN). The students were finally allowed to leave after Catholic Bishops intervene. The clash between the students and pro-government forces left two dead. Abelardo Mata, the Roman Catholic bishop of Esteli's car was also attacked by Paramilitary forces. The attack left the windows broken and tires slashed. The government said in a statement it is targeting Medardo Mairena, a member of the National Dialogue conference whom they perceive to be "responsible for the massacre and murder of four policemen and a primary school teacher as a result of his terrorist actions." EU and Peru, Chile Colombia, Spain, and Argentina have all gone on record condemning the Nicaraguan government for their actions over the last several days.